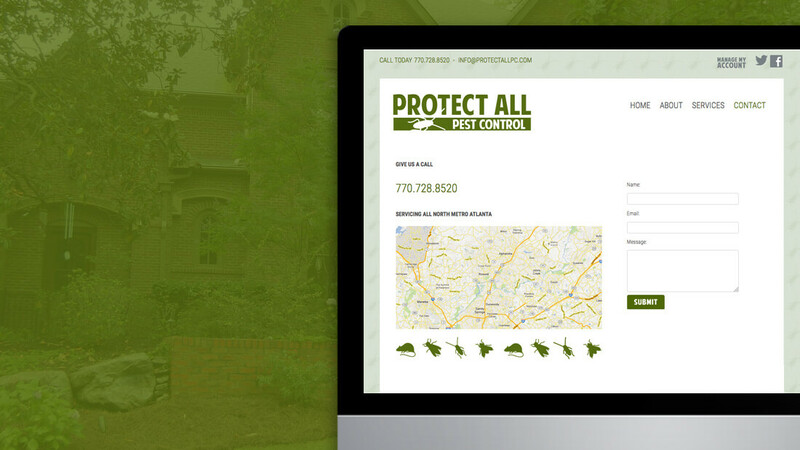 Protect All is a pest control company based out of Acworth, Georgia in the United States. 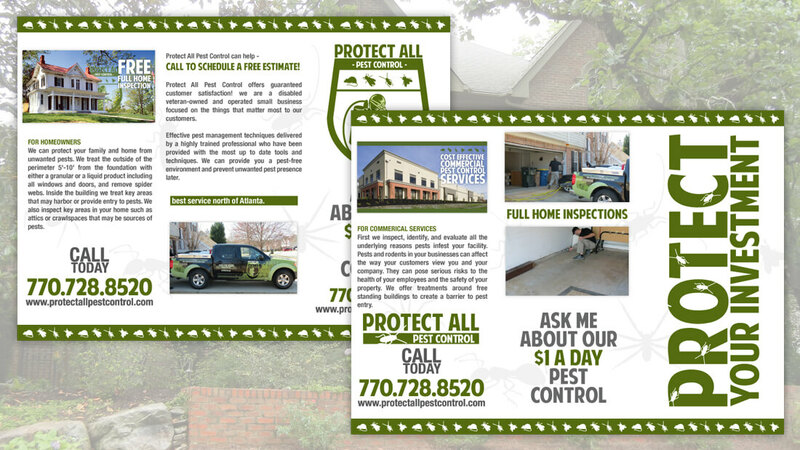 They serve the surrounding communities of Kennesaw, Woodstock, and Canton. 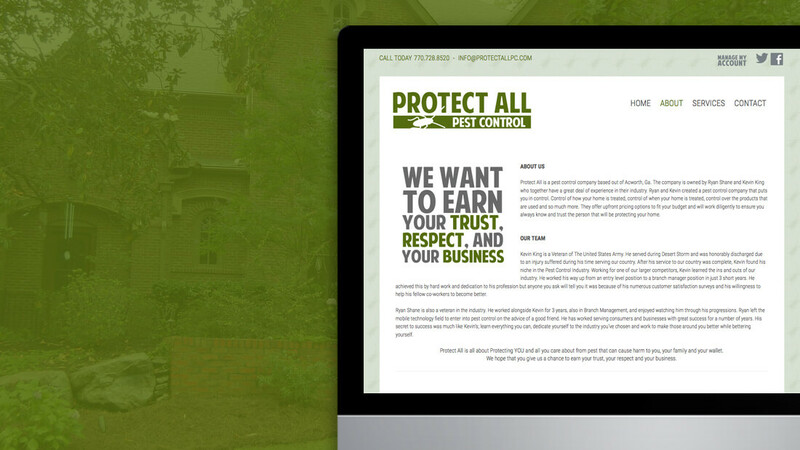 The company is owned by Ryan Shane and Kevin King who together have a great deal of experience in their industry. 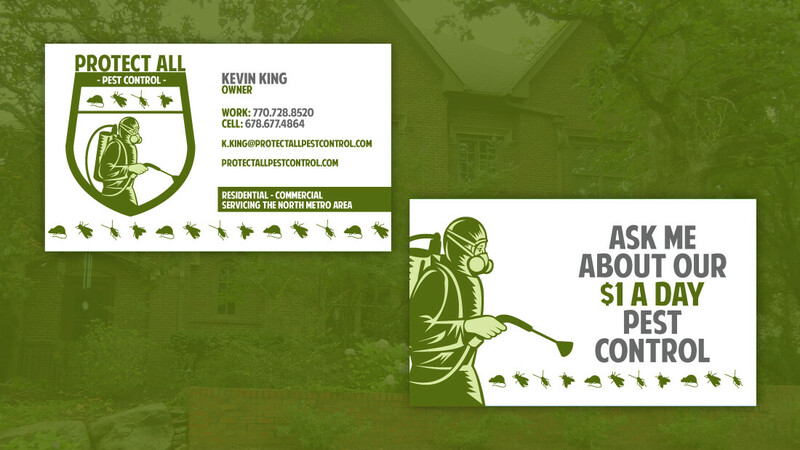 Ryan and Kevin created a pest control company that puts you in control. 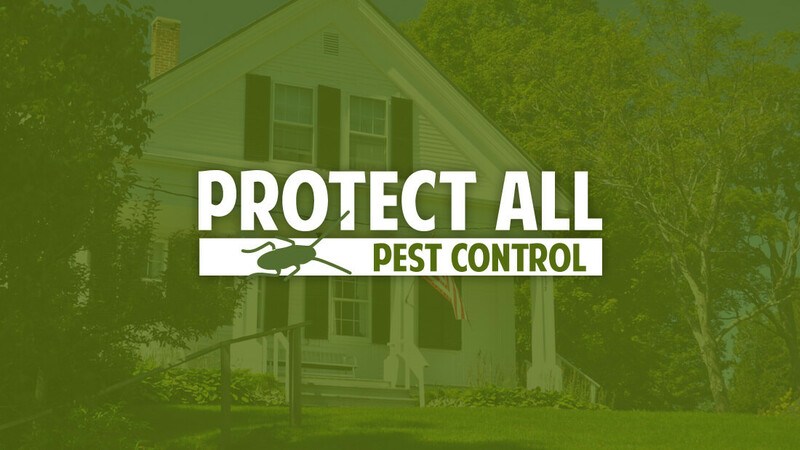 Control of how your home is treated, control of when your home is treated, control over the products that are used and so much more. 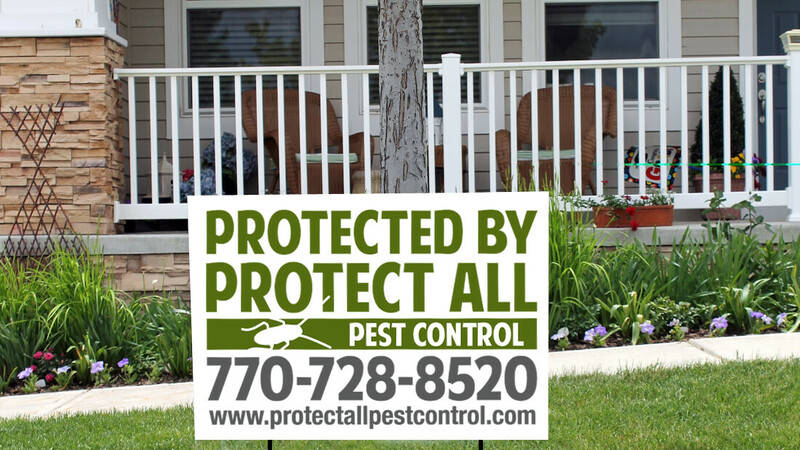 They are a Disabled Veteran-Owned and Operated Small Business focused on the things that matter most to their customers. 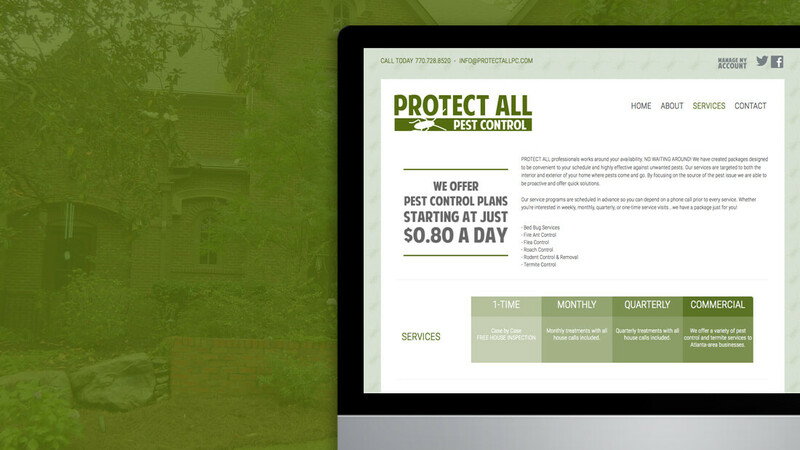 To ensure the integrity of a Disabled Veteran-Owned and Operated Small Business, we mandated that any brand content would reflect the company in a unique and friendly manner without using the “American Red-White-&-Blue” voice. 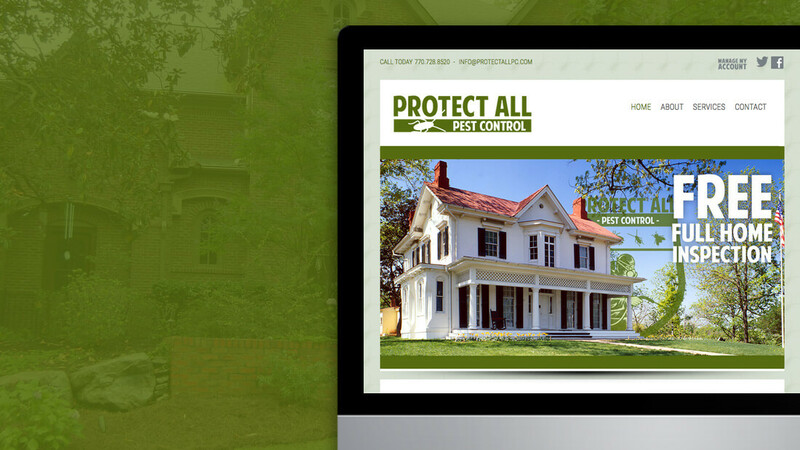 We wanted the brand to be able to stand strongly and craft the correct message to stand out from its competition. 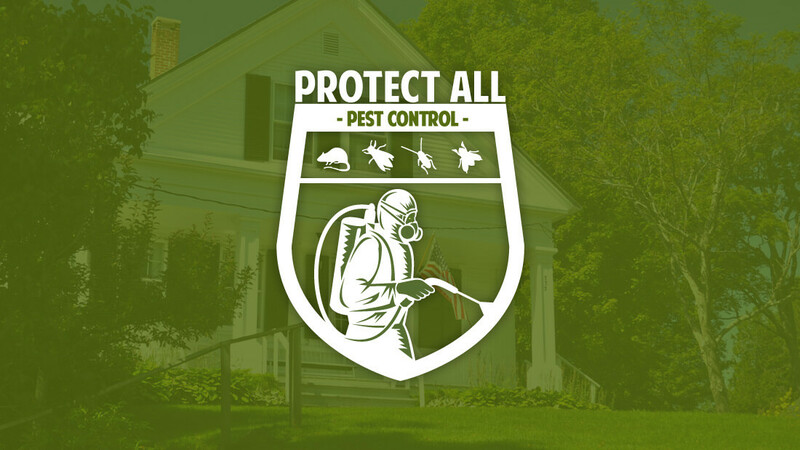 The logo needed to explain the company thus we illustrated a bug and called out the service they offered. 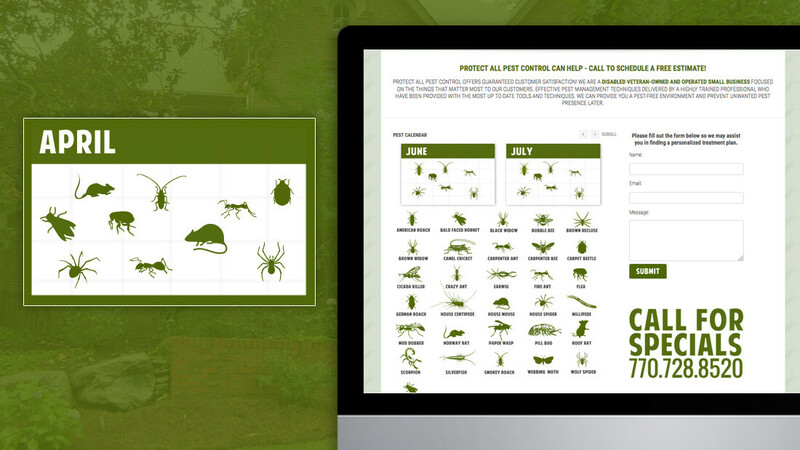 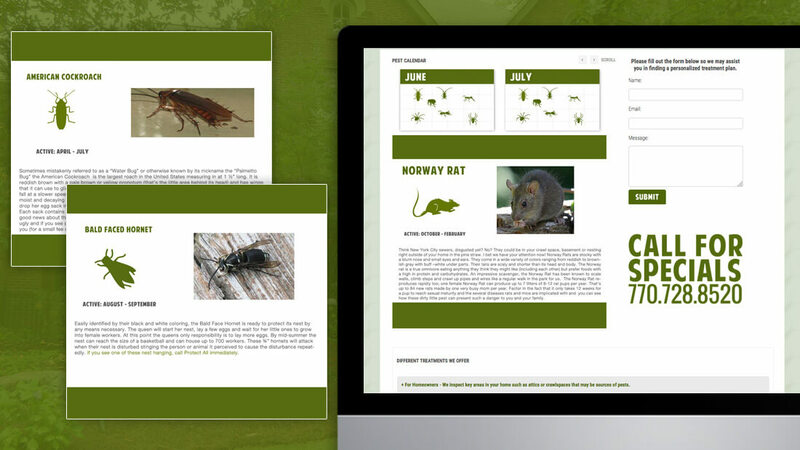 We continued the branding by crafting a pest calendar which illustrated the insect, bug and/or spider that would be more active during the month. 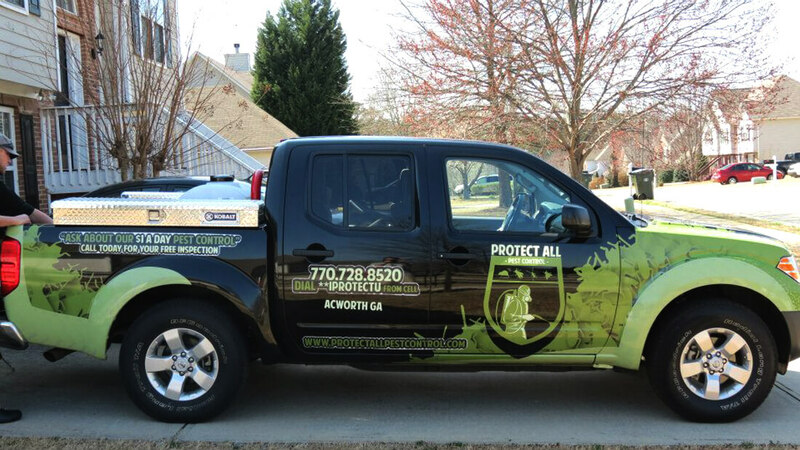 We also created their website, service brochures and corporate identity including business cards and truck wrap.